Вот вышел недавно релиз Макс 2019. Доступен для скачивания. * New Advanced Wood procedural Map provides highly customizable way to generate wood textures, includes presets for maple, cherry and oak. Available for Arnold and Scanline renderers. * OSL Map and Open Shading Language: You can now take advantage of Open Shading Language in 3ds Max by using the new category of OSL maps that contains a variety of preset maps, the OSL map, or developing your own OSL map. Allows you to write your own shaders. Lets you download and use existing OSL shaders. * Shape Booleans: Shape Booleans let you combine splines into new shapes using Boolean operations. Similar UI to 3D Booleans. Dynamic chamfer/fillets for created vertices. Works on closed and open shapes. Useful for creating floor plans, motions graphics, and any objects/workflows that use splines as a starting primitive. * Shared Views: Shared Views lets you share your models anyone online, and receive their feedback. Publish an entire model or a selection directly from 3ds Max. Easily view and share designs in your browser. Print out views that are important to you. Capture screenshots to use in emails and presentations. Access collaboration feedback directly in 3ds Max or through your web browser. * 3ds Max Interactive: VR editing is now possible with the new Level Viewport VR, letting you use your VR headset to enter and edit your level in virtual reality.Smart Placement tool provides you with a new and intuitive way to place objects precisely when working in the Level Viewport or editing your scene in VR. Live Transform Tracking mode syncs transform controls between 3ds Max and 3ds Max Interactive. 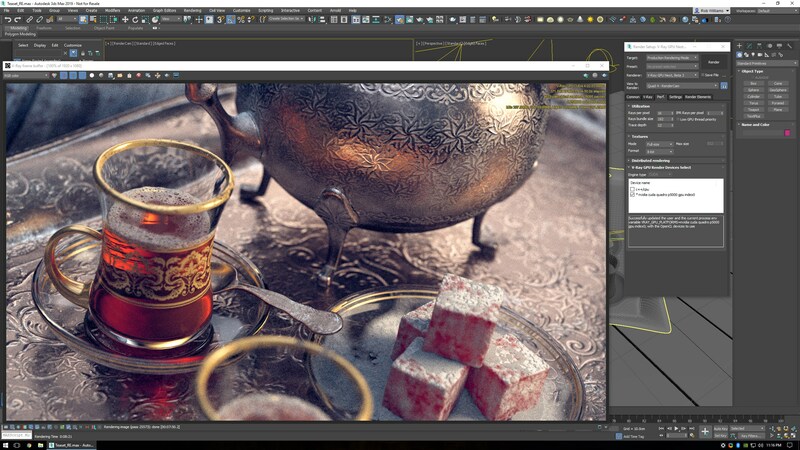 Photometric lights from 3ds Max are now imported as Physical Lights in 3ds Max Interactive. Any associated IES files are also imported. The new and flexible VR Desktop template can be used with either Oculus or HTC Vive systems. * Alembic file import and export: Improvements to Alembic files include being able to preserve various channel data between 3ds Max and other DCC tools when importing and exporting static or animated geometry, version 1.5.5 support, defects have been fixed, and support for layer names, material names, object properties, vertex colors, and velocity data. * Extrude and bevel enhancement: Extruding and beveling polygons (polymesh) now respects the normal of the selected face when multiple faces with shared edges are at different angles. In addition, the extrude angle is now a parameter you can adjust between the new and legacy behavior. * Renderable Spline Modifier: Renderable Spline Modifier now lets you correct twists created between the first and last vertices after adjusting bezier handles on closed splines and control capping; including quad cap, number of segments, and rounding the caps. * Project folders: You are now able to create a new project folder based on recent projects, create a standard project folder using the default structure, or create an empty project with no existing structure or hierarchies. Additionally, the current project folder is displayed in the Project submenu, and you can no longer set the active project folder from the Configure User Paths dialog. * Software security: Executable code and MAXScript files have been signed with digital signatures for improved software security. In addition, you can improve your software security by following our best practices and verifying signed scripts. По ходу ничего особо интересного не заявлено. Зажрались буржуи. Продукт совсем не развивают. Порадовал только улучшений Renderable Spline Modifier, которому добавили quad cap. Если и так платят, зачем что-то новое делать? Вирея народного до сих пор под 19-ку нет, смысла в 19-ке никакого. 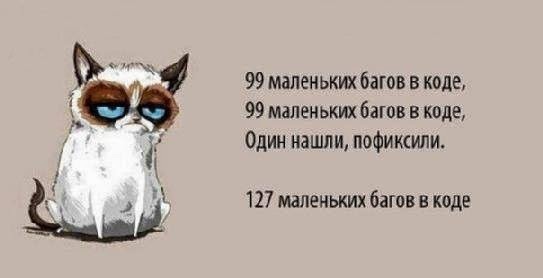 Сидим на 18-ом (тоже к сожалению не идеальном). ничего интересного. Ну разве что "Over 160 existing issues have been fixed". "Over 160 existing issues have been fixed". а почему не пишут сколько добавили? Давно уже смотрел, видно что костыль пока. И неясно прикрутят ли нормально. Но лучше так, чем никак. У блендера разве нет такого? У Blendera кулера выть не начинают. Есть, работает круче хоть и бета пока. >У Blendera кулера выть не начинают. Значит там шейдинг и лайтинг через 3Д инстукции видяхи реализуют. И тогда это никакой не ActiveShade. Так на картинке рендер на квадре был.